PgRouting is great. But (Yes, there is always a “but”.) those queries are not easy to remember. That’s why I started work on a pgRouting GUI today. It’s actually a QGIS plugin which I’ll call “pgRouting Layer” and it is based on Pablo T. Carreira’s “Fast SQL Layer” plugin which can execute arbitrary SQL statements against a PostGIS or SpatiaLite database and add the results in a map layer. This first prototype supports pgRouting’s shortest_path() function as described in “A Beginners Guide to pgRouting”. Once supplied with the necessary information about attribute field names, the plugin allows you to route between pairs of nodes. For convenience, the resulting layer is named after its start and end node. Besides normal routing capabilities, I’d like to develop this plugin towards a user friendly tool for catchment zone analysis. If you are interested in teaming up to work towards this goal, let me know. I’m not sure how much I’ll be able to help (things are pretty hectic right now), but maybe a little. I’d love to be an alpha/beta tester; proper network analysis from the QGIS GUI is something I’ve been wanting for a long time. Is development in C/C++ or Python? Thanks Matt! The plugin is written in Python. Since the actual work load is handled by the database, I don’t think there is a reason to dive into C++. Thanks Alex! Source code is now available at https://github.com/anitagraser/pgRoutingLayer. I’ve never done translations for plugins so I’d appreciate if you could set up whatever is necessary. Another interested tester/user, here. I am learning Python but would love to help as I can. 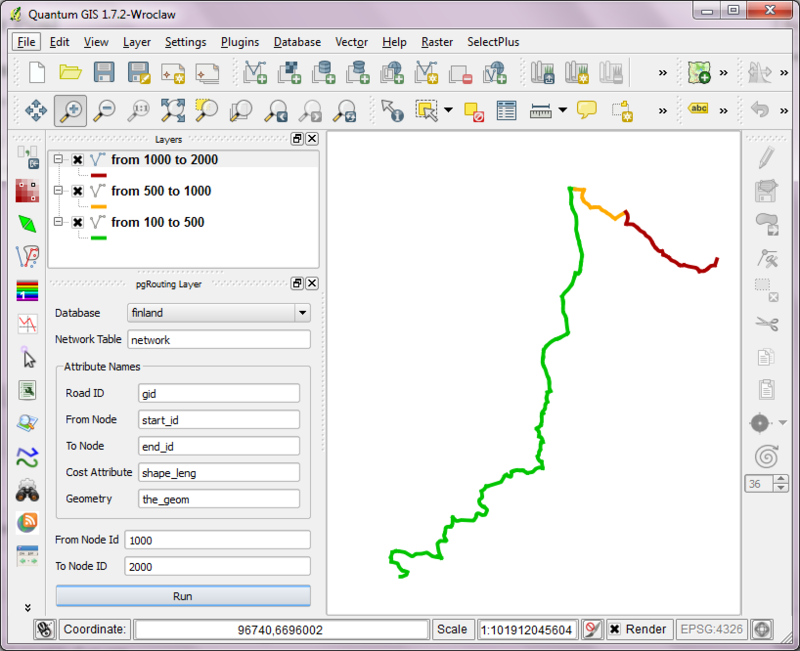 I completely agree with mattwigway about having this in QGIS. Please let us know how we can help. If you want to give pgRoutingLayer a try, you can download it from https://github.com/anitagraser/pgRoutingLayer. Please use the Github issue tracker to report any problems you encounter. Hi Anita, good work! Is the plugin available in a repository? Not yet. I’m planning to upload it this weekend. I’ll have to clean up first after yesterday’s hacking. Ok, thanks! By the way… I guess that Peter (he was at the hackfest in Zurique) and his pal Saber would be very interested in working on catchments. No ill delete mine then. I would definitely be interested in helping out too. Although I haven’t created a plugin before, this would be a good project to work on. I think adding in buttons for choosing from-node and to-node via “point-and-click” would be an awesome addition. That would be great Ryan. You can simply fork the repository on Github and when you are done with your changes, you can send me a pull request. Choosing from and to node with clicks would be nice. I have no knowledge on python, so I can not offer to participate in development. But I would like to test it. Some test data would be nice – the required data structure is not clear to me. pgRouting doesn’t require a specific data structure. All you need is a table with the attributes listed in the GUI and docs, e.g. the order in which attributes appear does not matter. For test data, you can load some OSM file using osm2po as described in one of my latest posts. How can i add this GUI in qgis…??? Currently, you have to get this plugin from Github (https://github.com/anitagraser/pgRoutingLayer). 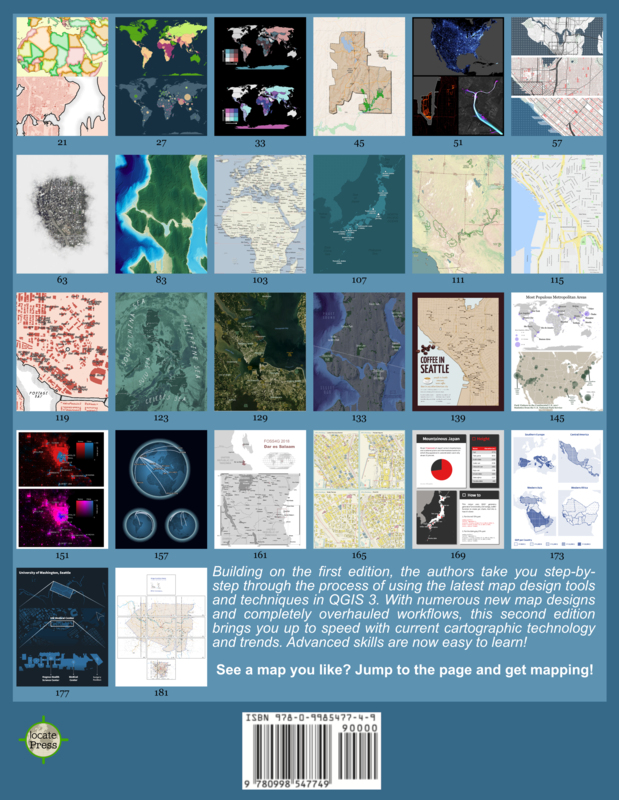 Put it into your ~/.qgis/python/plugins folder. 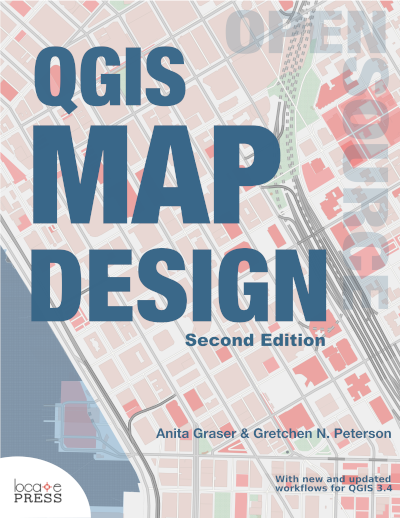 I am using Mac OS 10.7 and QGIS v1.8. Any help would be appreciated. I’ll need the whole error message please. Also, I cannot test on Mac unfortunately. i hope this helps… thanks for your time. Your Python installation lacks the psycopg2 module. I have no idea how to reinstall Python modules on MacOS, sorry. I’m having the exact same problem as “Brian” (OS X 10.6), however I’ve installed the psycopg2 Python module. I think the problem is that when I load QGIS, the pgRouting layer is looking at the wrong version of Python to use (based on file paths in the error message). Do you have idea how to get QGIS / pgRouting Layer to look for psycopg2 in these directories? Sorry, I have no OSX experience. My best guess would be to ask kyngchaos for help. which by default installs psycopg2 to the system version of Python (located in /Library/Python/2.6/site-packages ). Restart QGIS, and the error disappears. That’s interesting. I didn’t even write postgis.py myself. It was taken from “RT Sql Layer” plugin by Giuseppe Sucameli who in turn used “PostGIS Manager” by Martin Dobias. Do those plugins work for you? Thanks for responding — No, those plugins do not work either! I get the same error: “Couldn’t connect to database: missing “=” after “‘” in connection info string”. Hi ya I am getting the same as Kevin. Pity would like to give it spin. I am running QGIS on windows 7. All three plugins mentioned above don’t work for you? That’s weird because I developed pgRouting Layer on Win7 and it definitely works. Are you sure about your PostGIS setup working correctly? Thanks for your offer Kevin! I’m afraid I wouldn’t even know where to start looking for the error. Since PostGIS Manager plugin is affected too, Martin Dobias might be the best contact person. Anita, i’ve forked your repository in github and I’ll try to add support for other routing methods (a-star and shooting star). I’ve been working on a Django application that will make heavy use of pgRouting functions, so I’ll also try to separate the logic code in another class. I’ll let you know when done. Great! Looking forward to testing any new features. After some days following instructions in this blog and others, I managed to complete installation of postgreSQL, postGIS, pgrouting and pgRoutingLayer. I am a total beginner to Linux, so I wanted to thank you for your posts and your patience answering all the questions in this blog and in stackexchange.com. I still have everything to learn about these applications, so I will keep coming regularly to check your blog. Thanks Tao! I really appreciate your feedback. Thanks a lot for your tutorials, they’re really useful. I’d love to use pgrouting but, like others, postgis.py is not properly executed when I launch it. The same issue arises with PostGIS Manager and not entering the password never solves it. I know you haven’t written postgis.py yourself but in case you have had any thoughts about it recently, I would greatly appreciate any help. I am on Windows 7, with PostgreSQL 8.4 and PostGIS 1.5. Everything else works fine. V. useful plugin. Many thanks and look forward to any extensions.